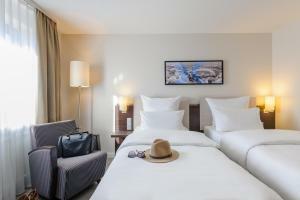 This 4-star hotel lies in the east of Munich, 5 km from the Messe München Exhibition Centre. 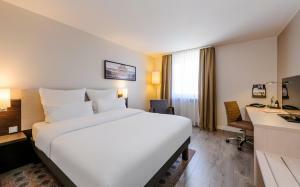 It offers modern rooms, a sauna and gym. 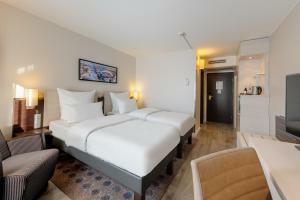 The spacious rooms at the Mercure Hotel München Süd Messe feature modern décor and warm carpet. 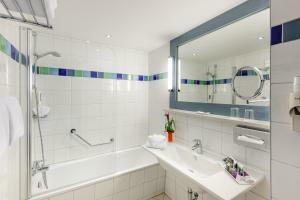 All rooms include air conditioning, satellite TV, Wi-Fi and a private bathroom with bathtub. Wi-Fi is available in the whole hotel. International and regional dishes are served in the modern Sparks restaurant or the traditional Bavarian-style Hubertuskeller lounge. Drinks can be enjoyed in the Bubbles bar or the beer garden. The Neuperlach-Zentrum Underground Station is a 15-minute walk from the Mercure Hotel München Süd Messe This offers a direct underground connection to Karlsplatz, Munich Main Station and the Theresienwiese, the location of Munich’s Oktoberfest beer festival.